but didn’t speak of it. 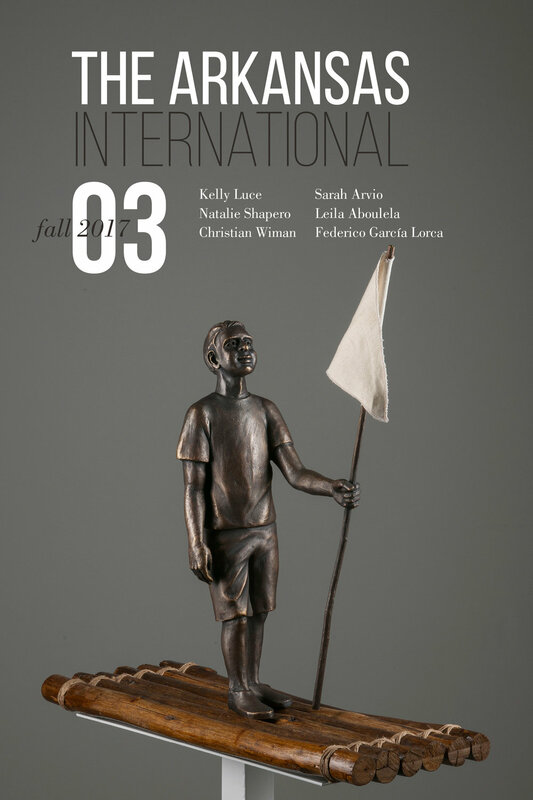 Elizabeth Onusko's "Incarnate" can be read in the print edition of The Arkansas International 3. Elizabeth Onusko is the author of Portrait of the Future with Trapdoor (Red Paint Hill, 2016). Her work has appeared or is forthcoming in Witness, Best New Poets 2015, Bennington Review, Fugue, Poetry Northwest, and Southern Humanities Review, among others. She is the editor of Foundry and assistant editor of inter|rupture. Her website is elizabethonusko.com.